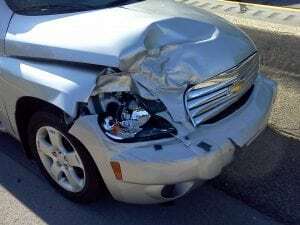 Brooklyn, NY (April 6, 2019) – Accidents involving multiple parties can be some of the most life-changing accidents we endure, especially when we are unsure of who is liable and need help moving forward. On Monday morning, police responded to the scene of a three-vehicle collision that took place at the intersection of 10th Avenue and 49th Street. FDNY responded. Two vehicles collided with one another in the intersection when one crossed over into another that was headed straight. Another vehicle then became involved. The three vehicles were identified as sedans, two of which had a variety of serious damages, such as passenger’s side and front-end damage. EMS was called to the scene of the accident, where it was confirmed that two victims received injuries. They were quickly transported to the nearby Maimonides Hospital for treatment. Police continue to investigate the circumstances leading up to the crash. We would like to extend our sincere sympathies to all of those involved in this serious collision. Above all else, we preserve hope for their full recoveries during this time. It is important to know that, in the midst of a car accident, you have many significant rights in terms of gaining the compensation that you deserve during this difficult time. Our car accident attorneys in New York are waiting to hear from you. Our accident attorneys at Hach & Rose are here to assist you with your every need when it comes to your case. We have dedicated our lives to helping the victims of serious accidents and understand the overwhelming physical, emotional, and financial hindrances that occur in the wake of an unexpected accident. If you or a loved one have been devastated by an accident, please contact us at 212-779-0057 to find out what we can do for you.